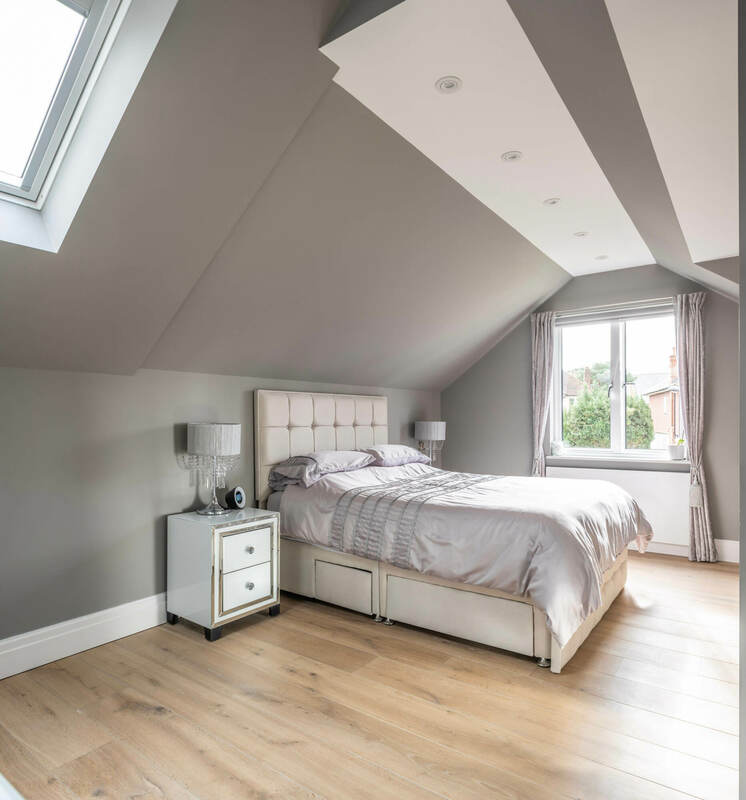 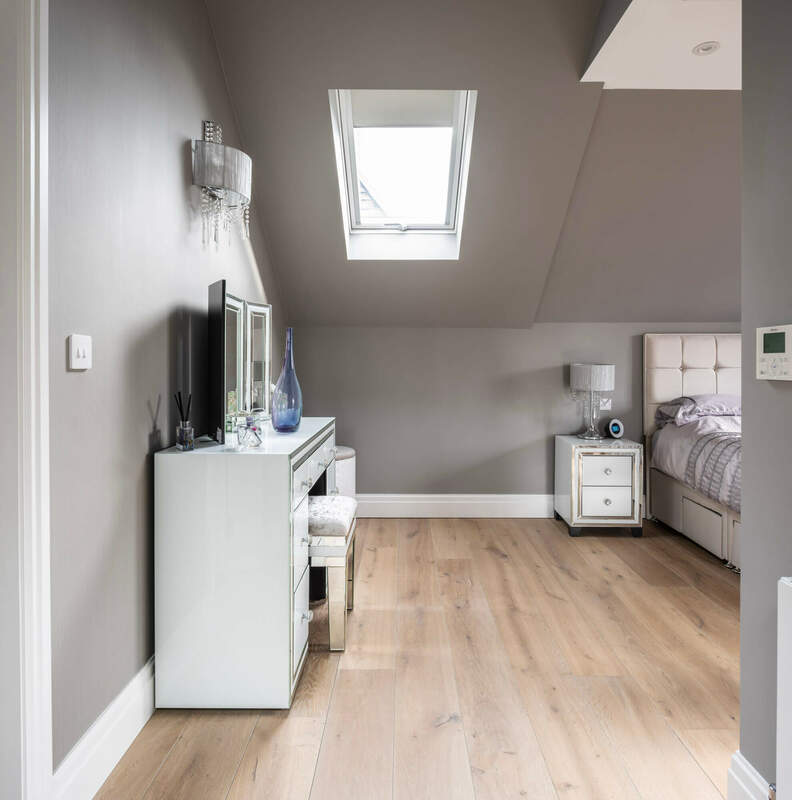 16mm x 220mm/4mm solid Oak top layer - Engineered planks in Slate Grey finish. 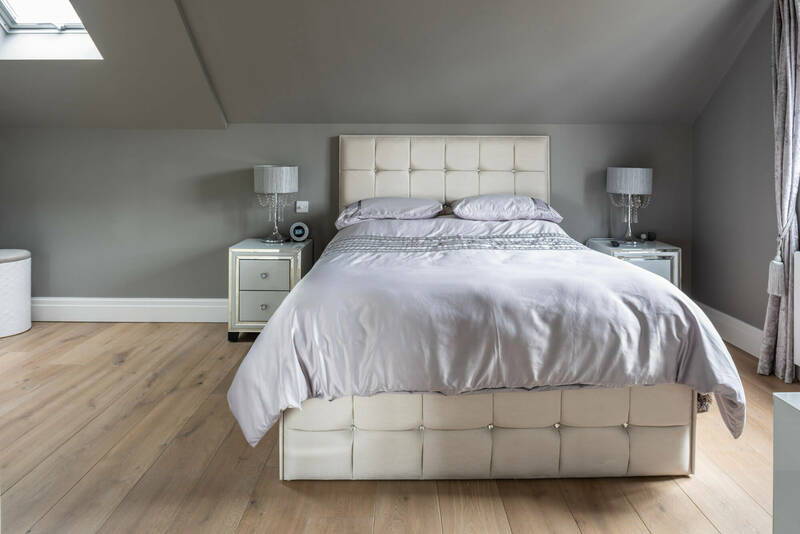 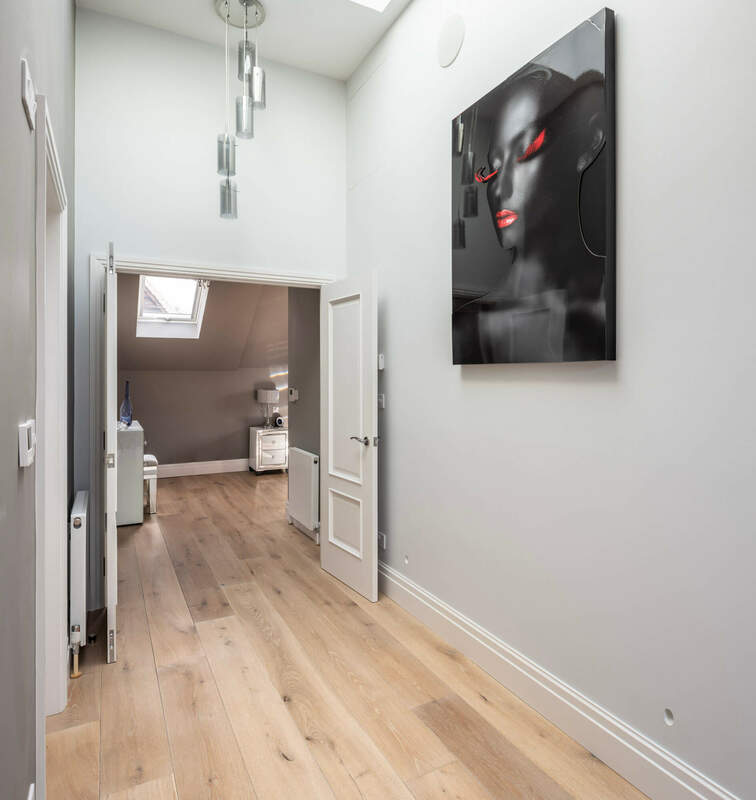 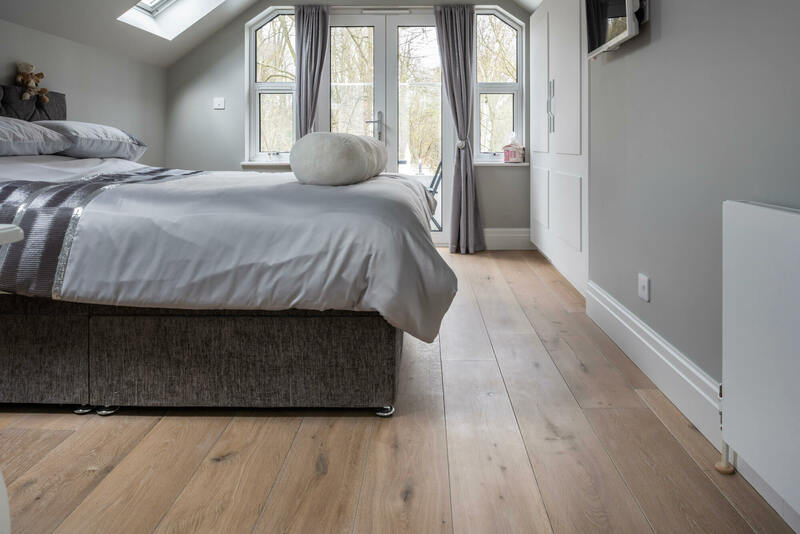 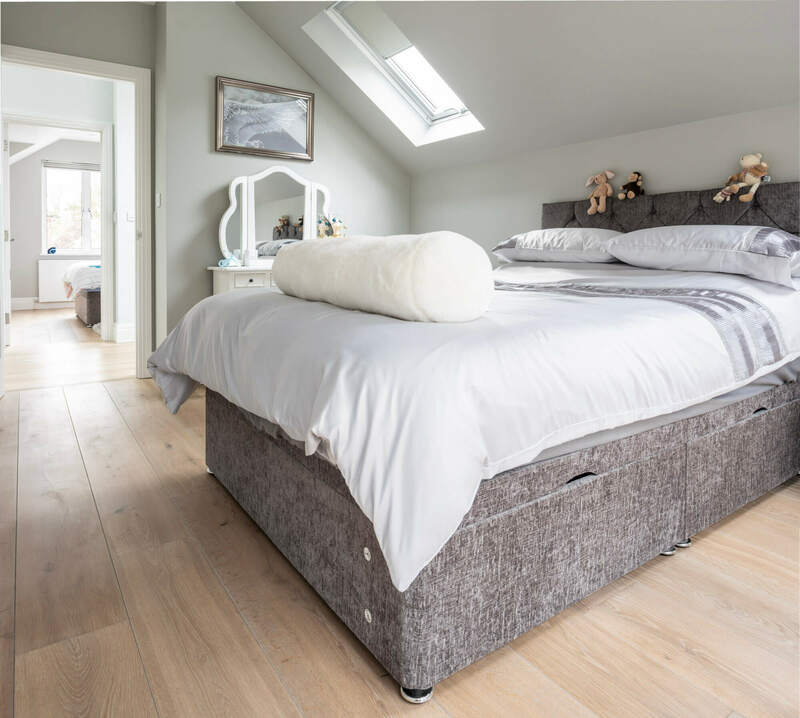 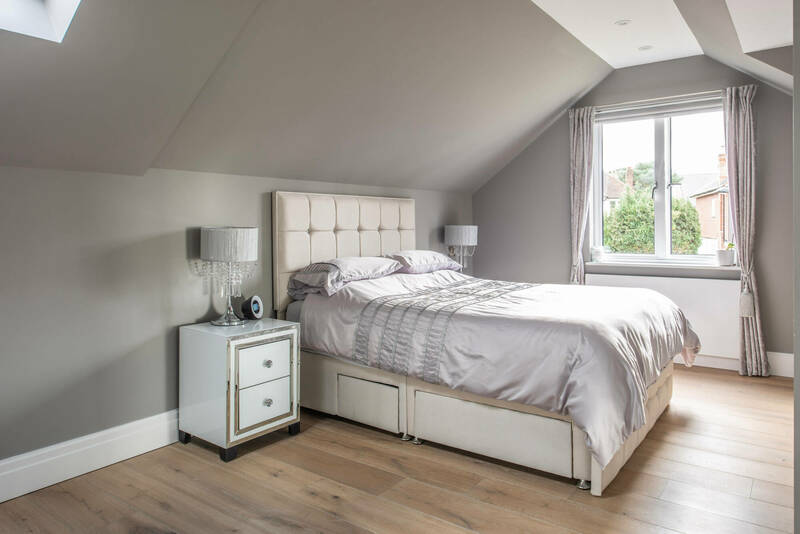 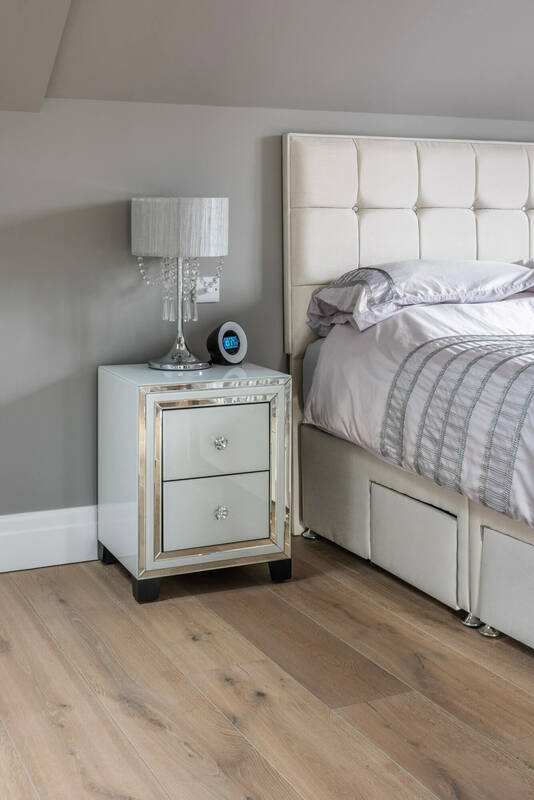 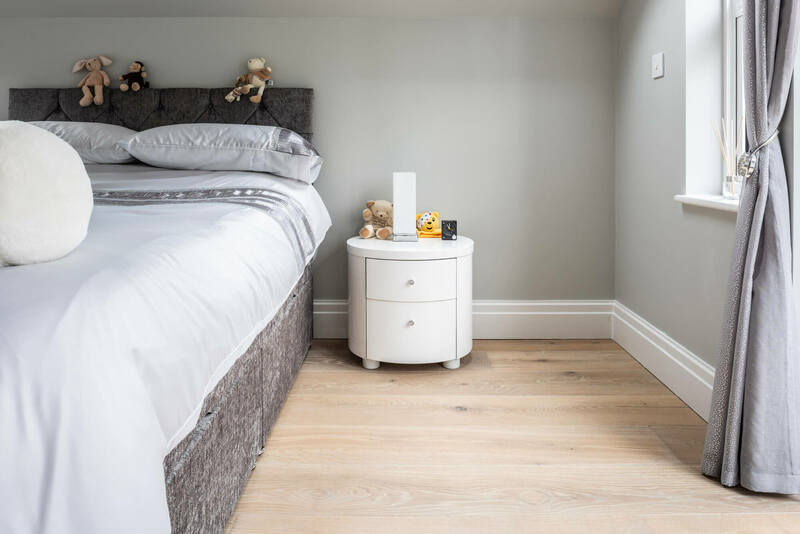 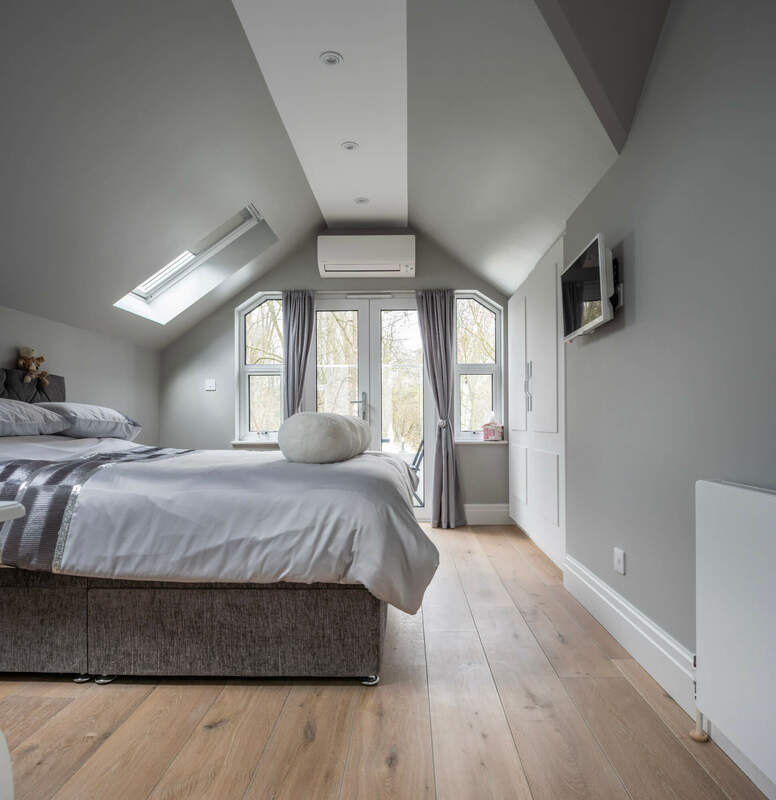 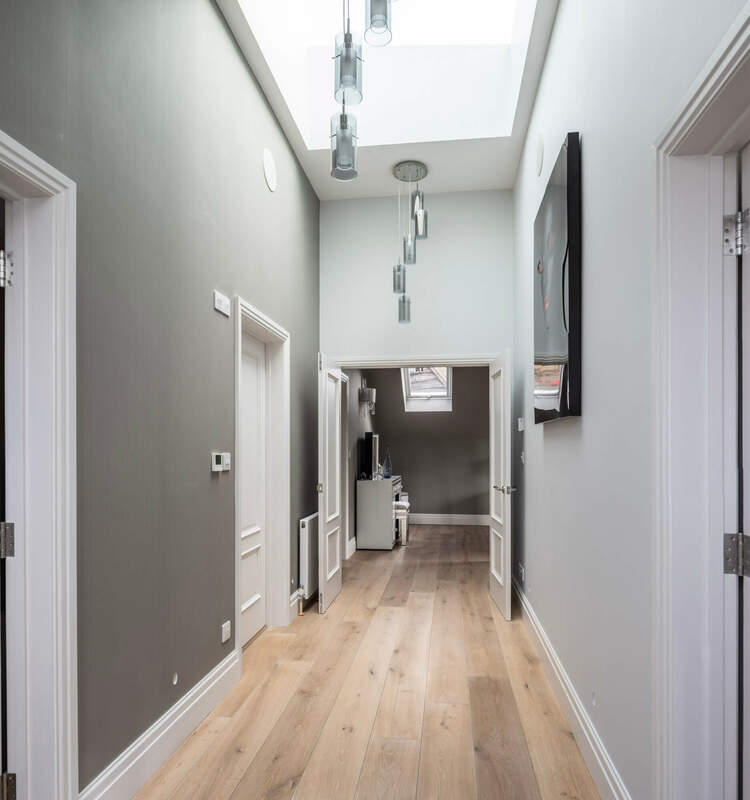 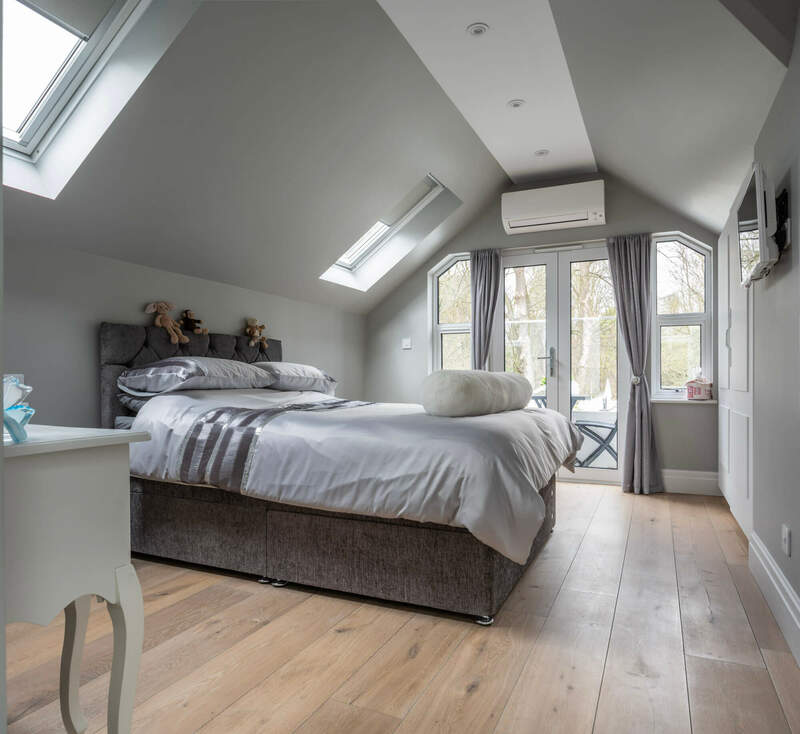 Wide long planks in our Character grade Oak featuring some natural knots and subtle colour variation give a modern feel to this contemporary space;. 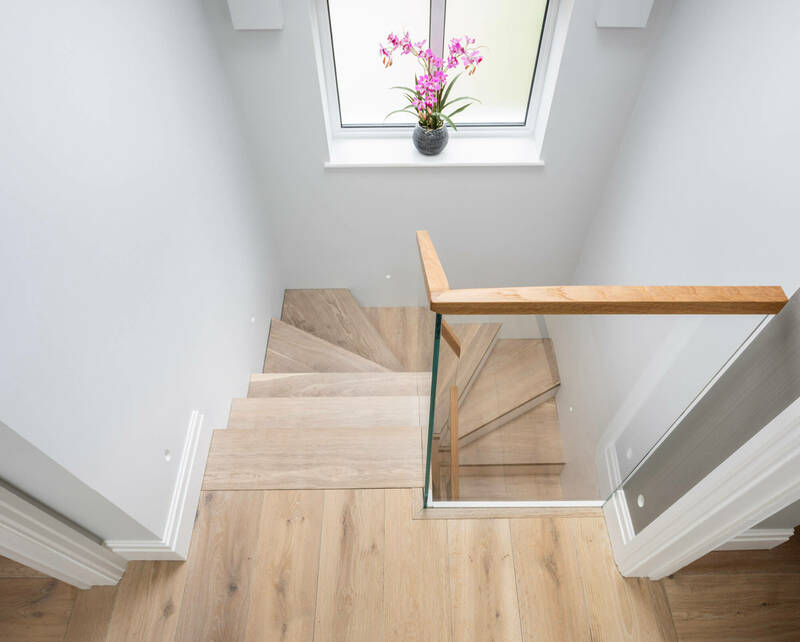 Taking centre stage are the beautifully crafted staircase work. 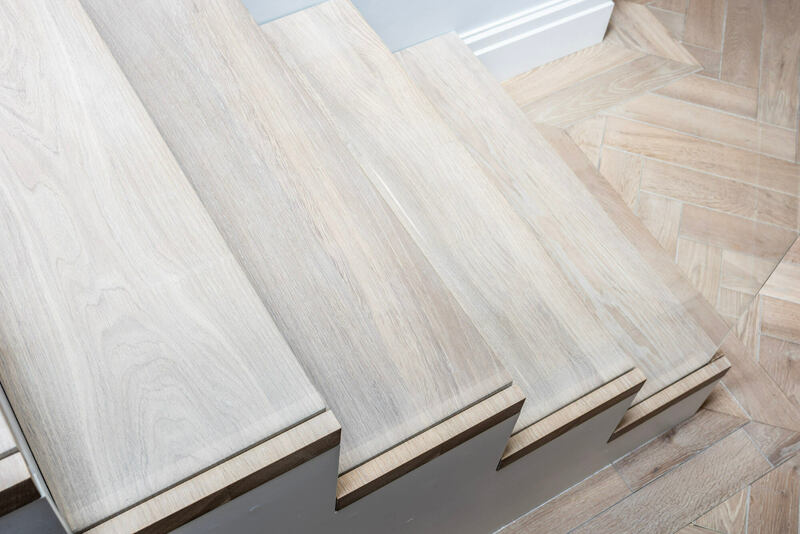 3 Oak manufacture seamless stair treads, which are hand finished in our workshop. 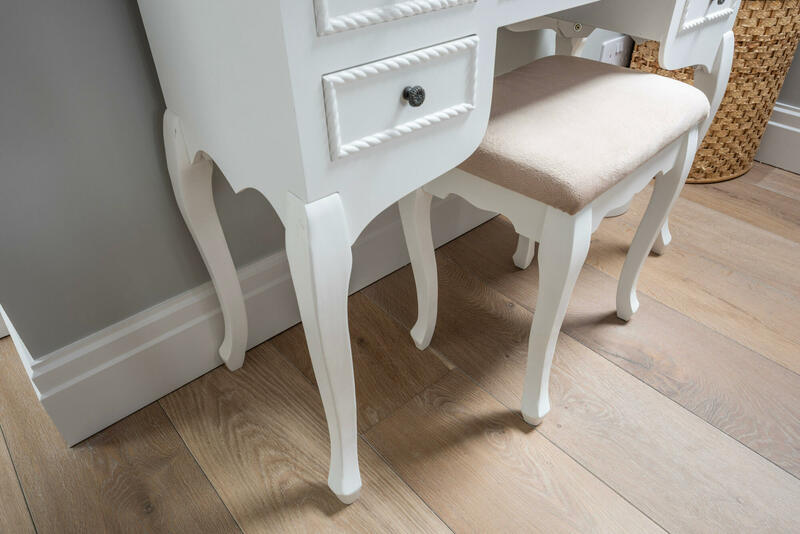 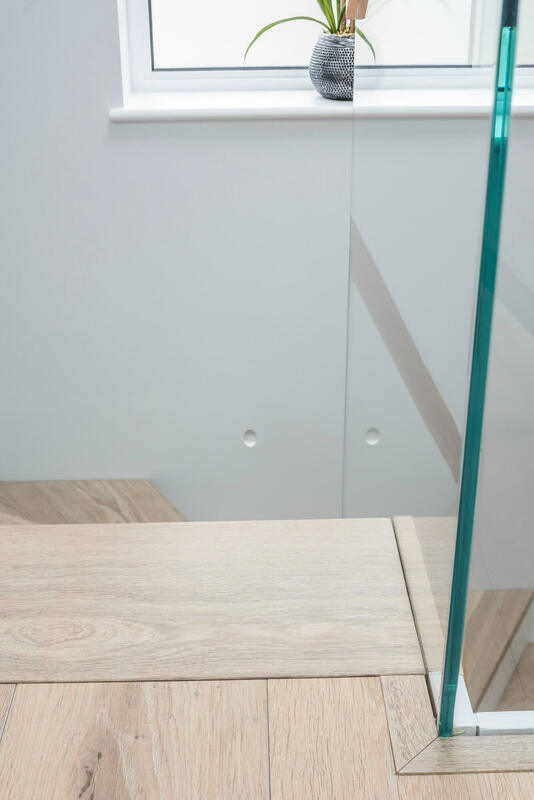 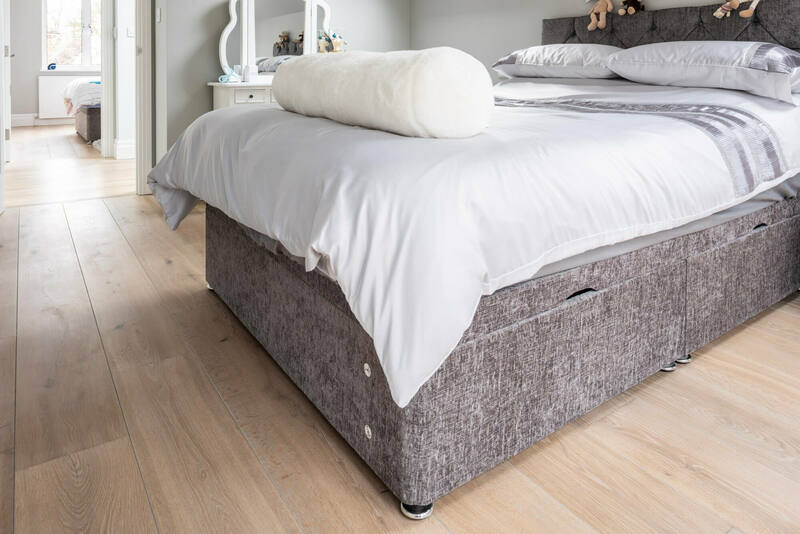 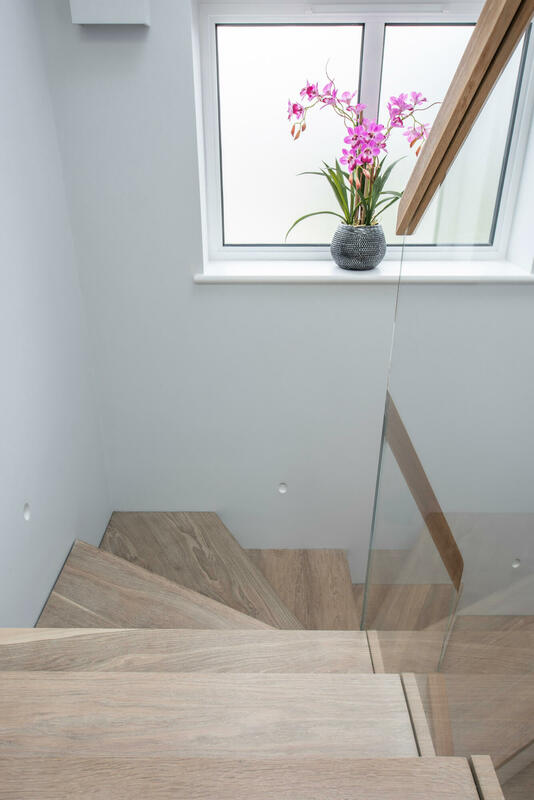 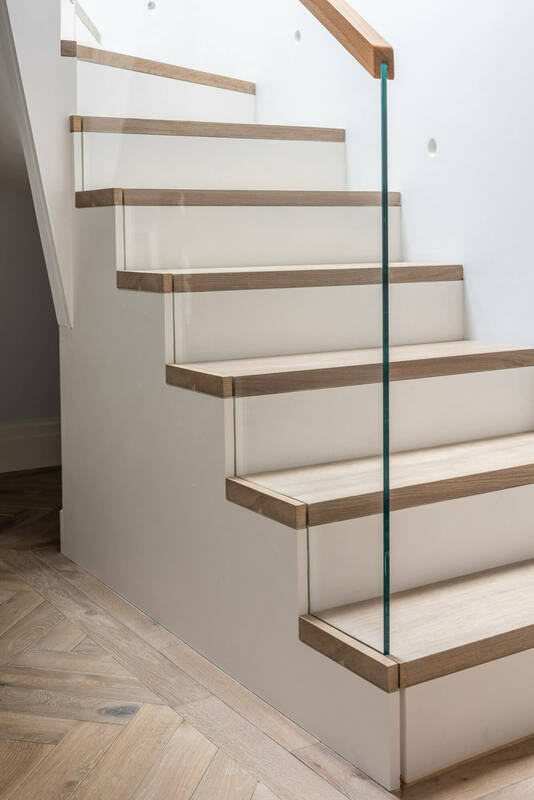 We are able to manufacture almost any specification including bespoke winders and curved treads sizes, available in bullnose or square edge profiles. 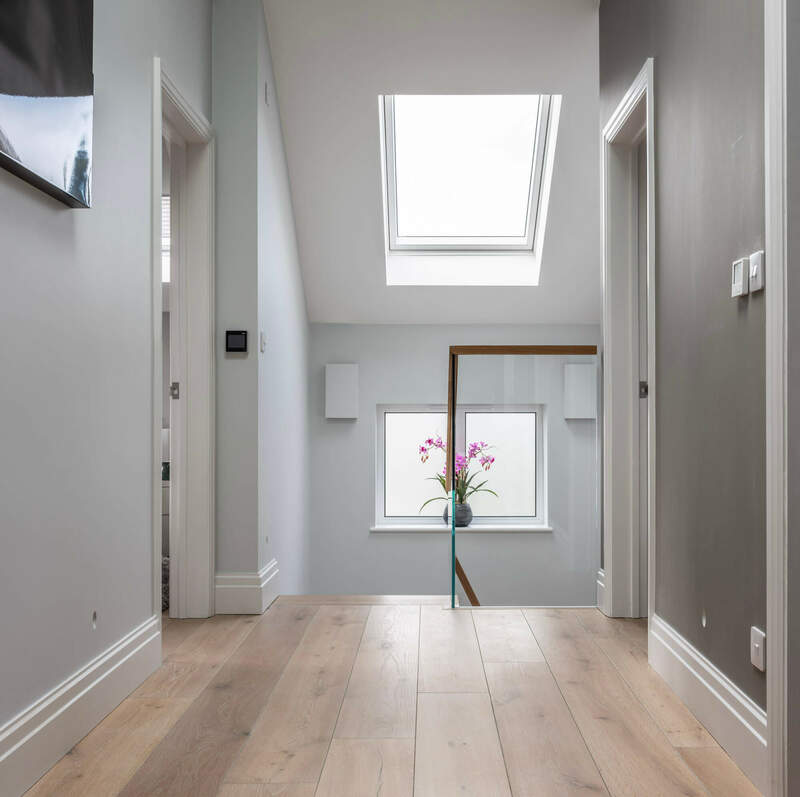 3 Oak's installation team meticulously pay attention to all the finer details, resulting a sleek high end finish.